Over 35 years of experience in the oil & gas sector in senior management positions. 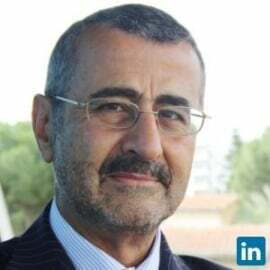 Currently CEO of e-CNHC (E-C Cyprus Natural Hydrocarbons Company Ltd), providing management and advisory services in the oil & gas and energy sectors in Cyprus and the region. A lot needs to be done and the aim of the company is to contribute to the successful development of these sectors for the future of Cyprus.